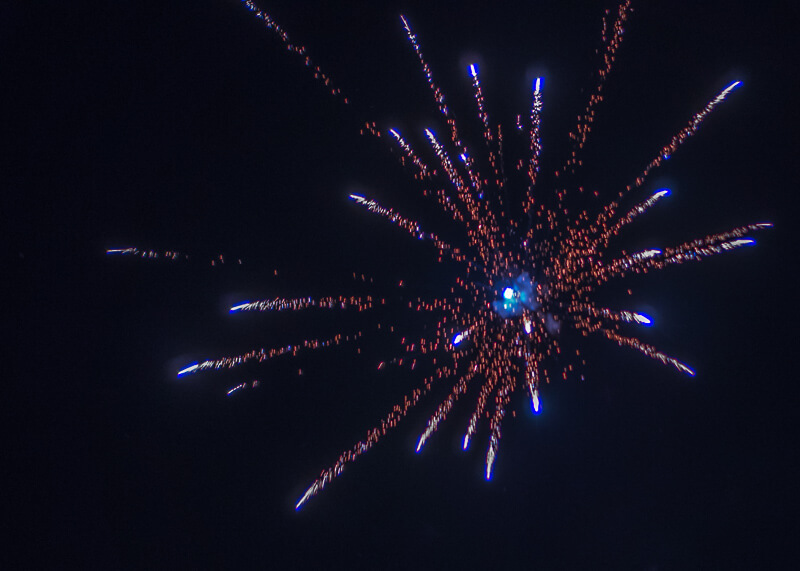 Without a doubt, celebrating the New Year in Chiang Mai has been the best New Year’s celebration in my life. It was so magical that I am almost afraid to say it might be the best one I’ll ever experience in my life. Yes, it was that incredible. 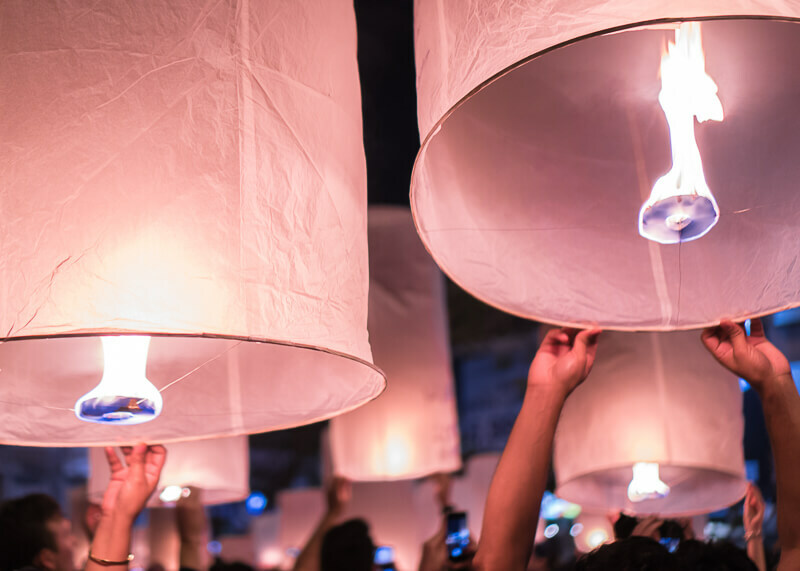 Did you know that the Thai’s celebrate New Year’s three times in a year? Yup! Once on December 31 like the rest of the world, then during the Chinese New Year. The third celebration is during Songkran, the traditional Thai New Year. But this post will only refer to New Year’s Eve on December 31st. You have to be at Tha Phae Gate to welcome the New Year with the rest of the Thais. Somehow, the crowd will instinctively know when it is ten seconds from midnight. 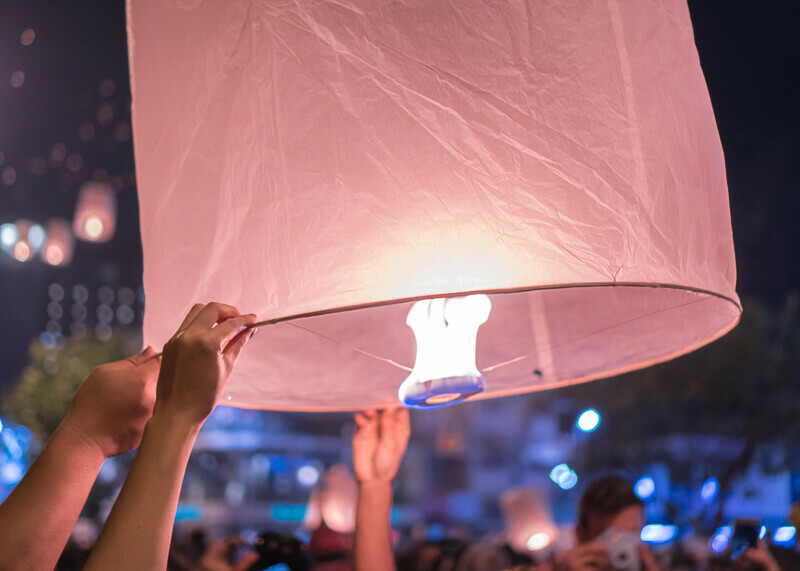 Everyone will get their floating lanterns ready to release at midnight, and the crowds count down the seconds to welcome the New Year. 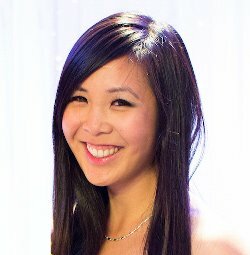 Now that I think of it, no main person or emcee starts the countdown. Someone just starts screaming “ten,” and before you know it, the whole crowd is counting down the seconds in unison. 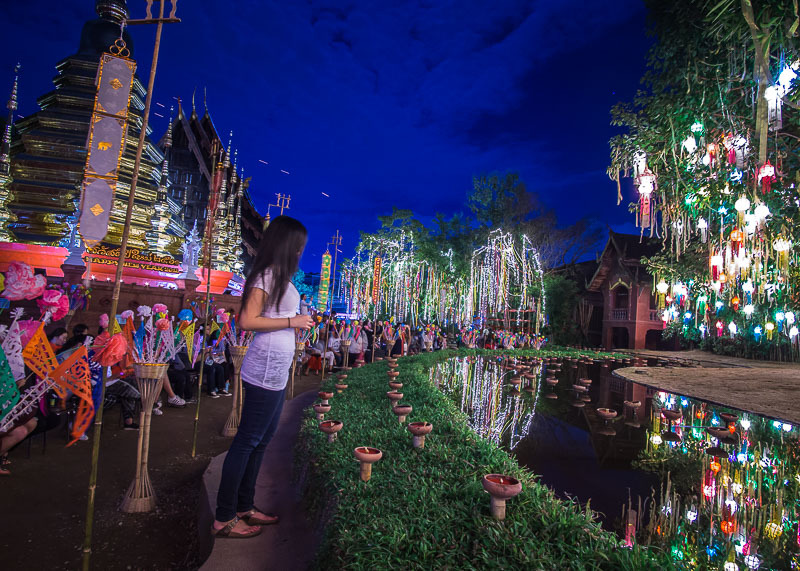 How much will everything cost to celebrate Chiang Mai New Year’s Eve? Not much! Almost all temples, including ones with a foreigner entry fee, are free to enter on New Year’s Eve. You can buy small floating lanterns starting at 30 baht ($0.91 USD/ $1.20 CAD). Of course, street food is abundant and as cheap as 30 baht for a main dish. A million emotions rushed through my body during this time. Excitement, awe, gratitude, fear – you name it, I felt it. To add a context, let me explain what happened within seconds after the clock strikes midnight. 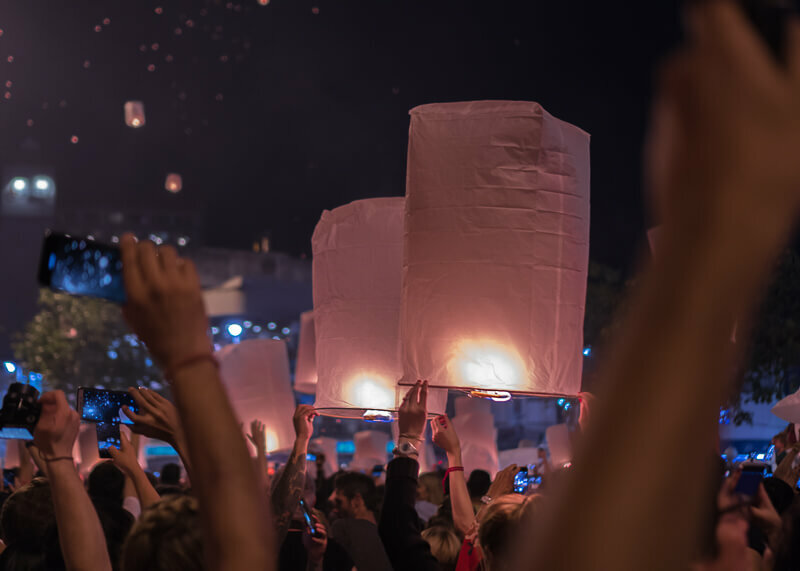 The crowds are cheering, cars, motorbikes are honking their horn, and hundreds of people let go of their floating lanterns into the night sky. Seconds later, you’ll see fireworks filling the background. Suddenly, Thais appear out of nowhere to release firecrackers left, right and center, hence, explaining my fear. I mean, how can you not be afraid when fireworks and sparklers are released just inches away from your ear? Fortunately, the Thais are super careful at aiming towards the sky and being aware of their surroundings so that no one gets hurt. But still, it’s one of the craziest and most beautiful moments I have ever experienced in my life. 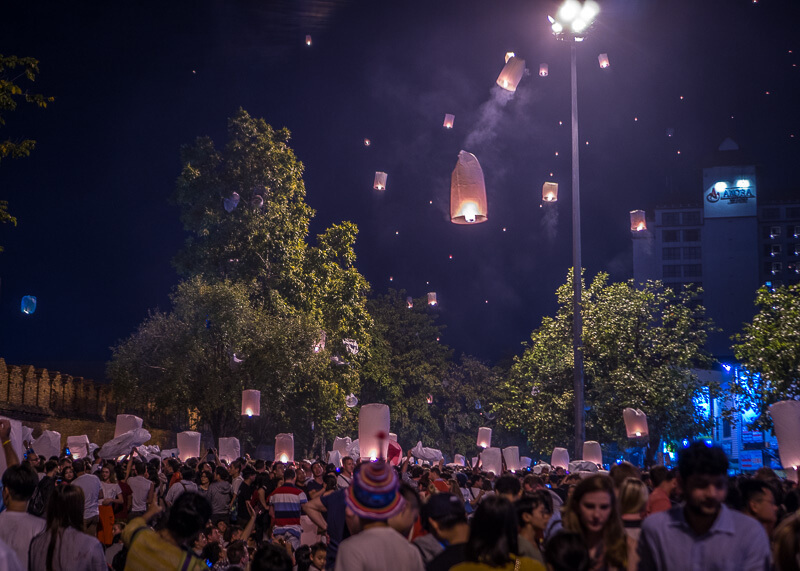 Unlike the Loy Krathong and Yee Peng floating lantern festival where the main event takes place around Nawarat bridge, Tha Phae Gate is the place to release lanterns. That area is smaller and could probably fit no more than 100 people. 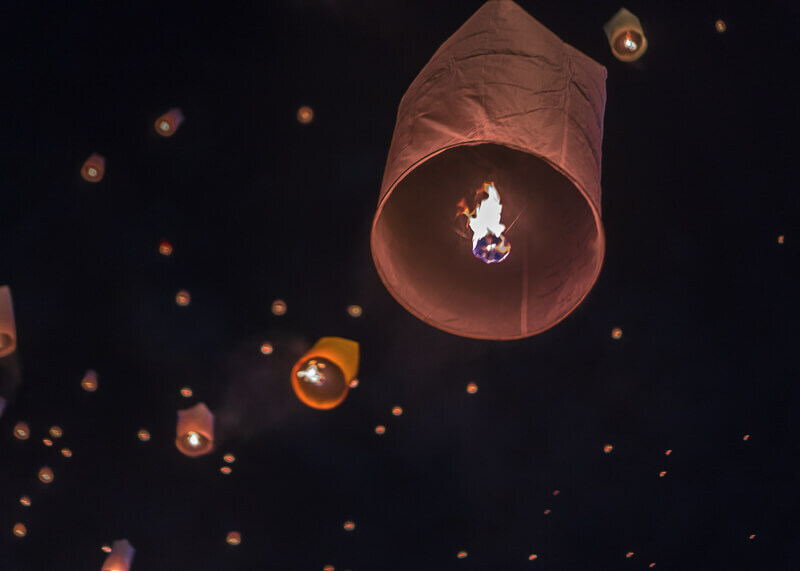 As well, the New Year celebrations involving lanterns are smaller compared to the Yee Peng floating lantern festival. 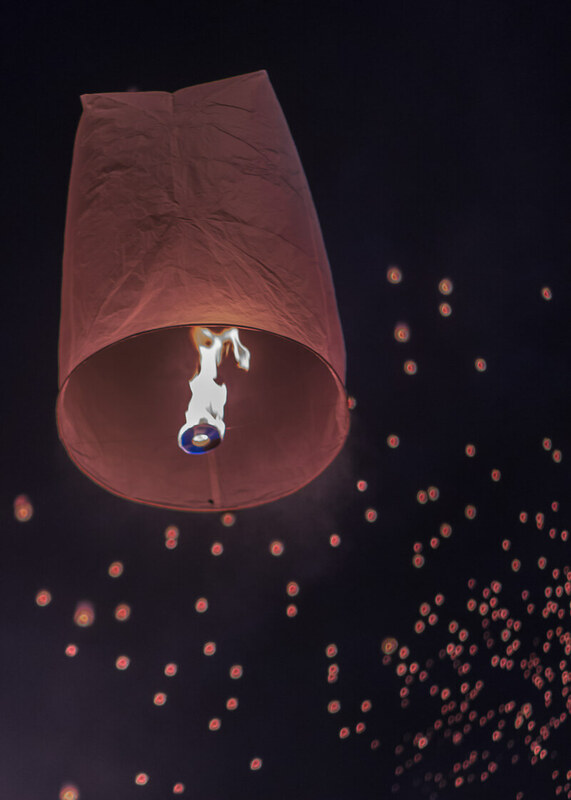 You can also release your lanterns at some of the temples near Tha Phae Gate. Note that you can’t just release your floating lanterns at any temple. Some celebrate the New Year through chanting and meditating. 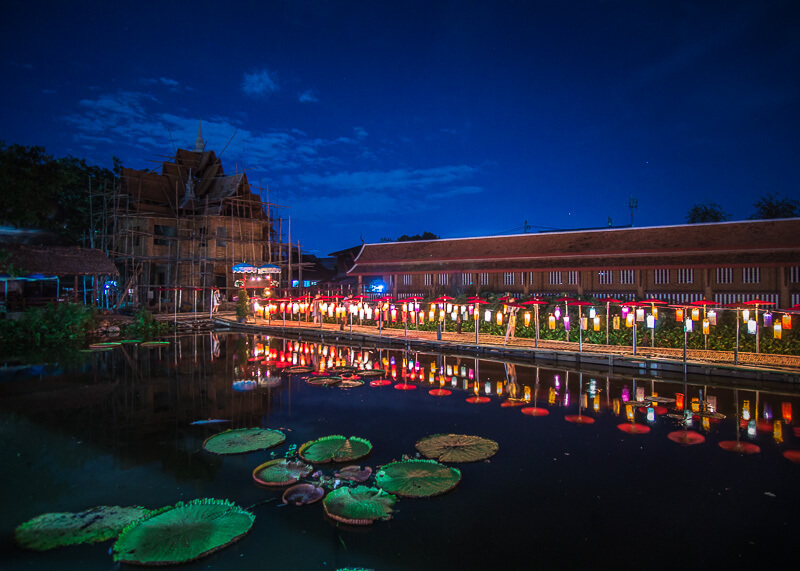 I’ve read online that you can also release your floating lanterns in unison at some of the temples, like Wat Phan Tao. A million candles (ok, maybe a few hundred) surround the temple, making it a magical sight to see. 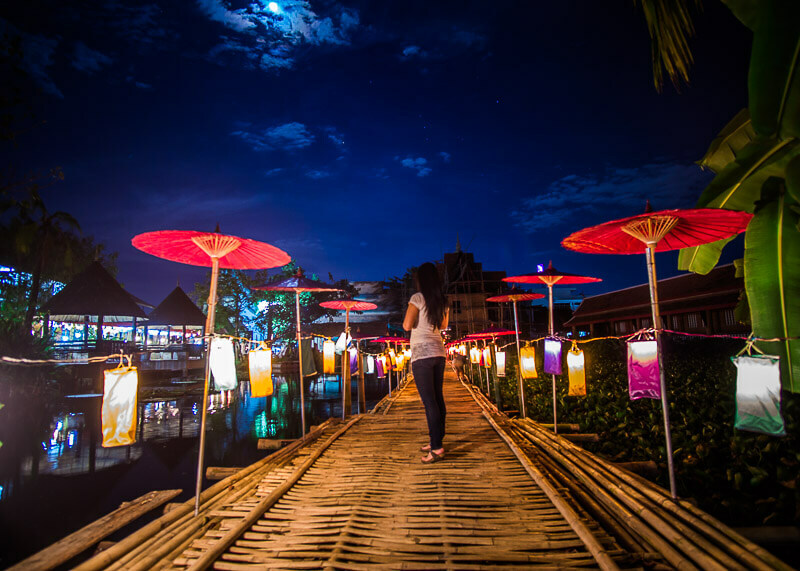 You can find these floating paper lanterns from vendors pretty much anywhere around Tha Phae Gate. Most vendors will be holding these bags of paper lanterns next to their bicycles. 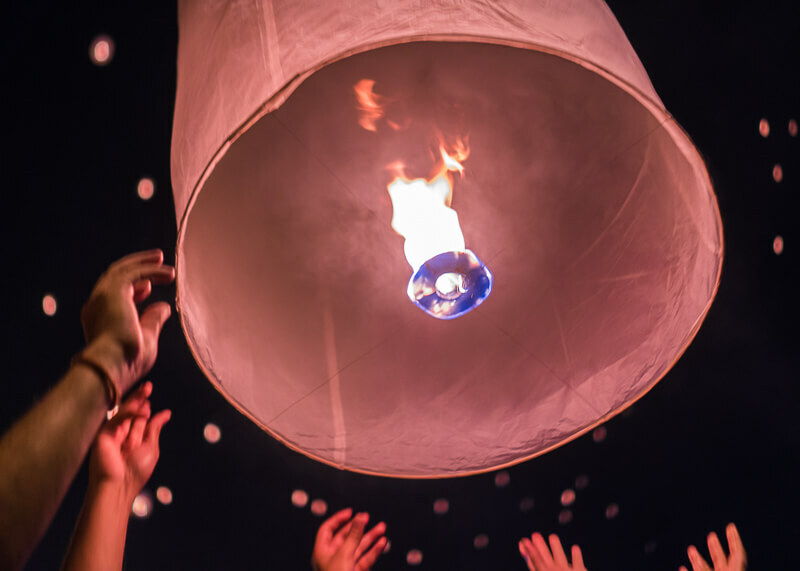 These paper lanterns, also referred as khom loi are of lightweight paper with a small candle in the center. Tip: Come prepared! Bring your own lighter! We bought a lighter in preparation for the event (well, we still had one from our Yee Peng festival). Of course, we left it at home and went from 7-11 to 7-11 looking for one. As you can imagine, floating lanterns and planes don’t go well together. 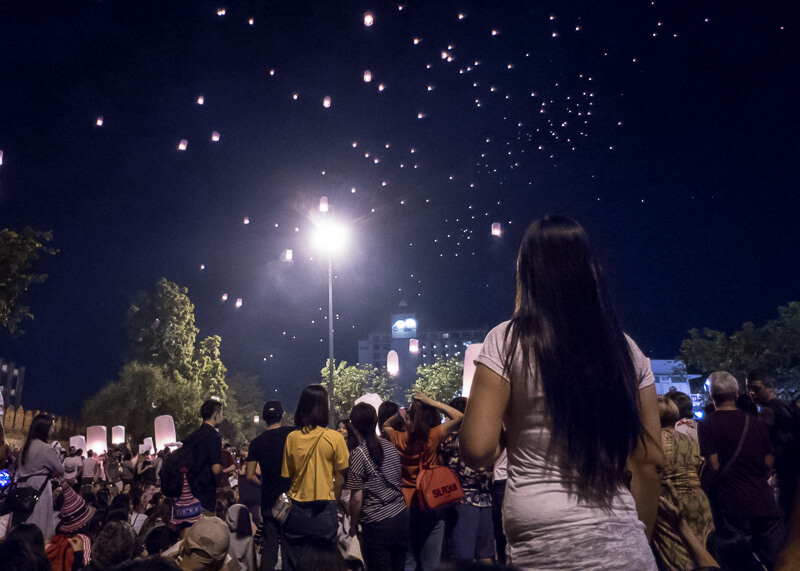 As a result, the Chiang Mai Airport cancels flights during the New Year floating lantern release. 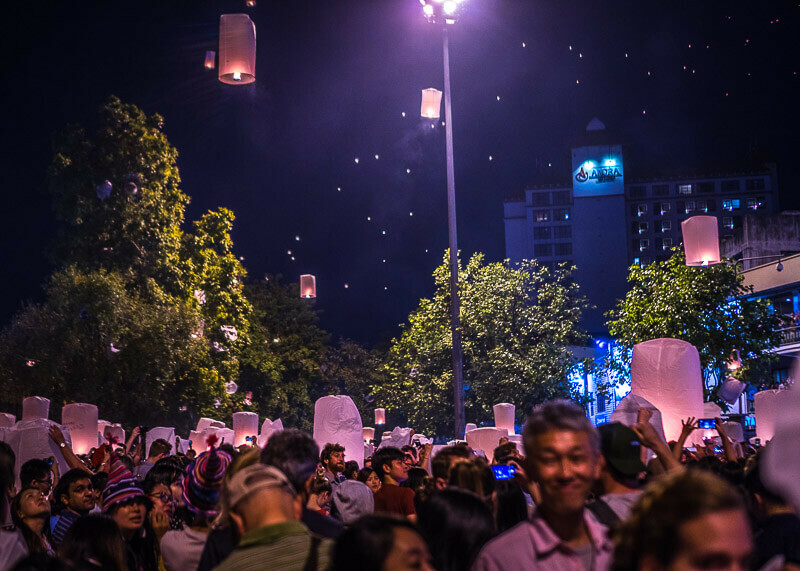 The government does the same thing during the Yee Peng festival, where they cancelled over 78 flights during the Yee Peng and Loy Krathong celebrations. You might laugh at the thought, but the possibility of setting someone on fire is very real during the New Year! So make sure to read the instructions and don’t take this section lightly! While the restaurants, night markets and the rest of the city feel like a big party during this time, the mood is different in temples. 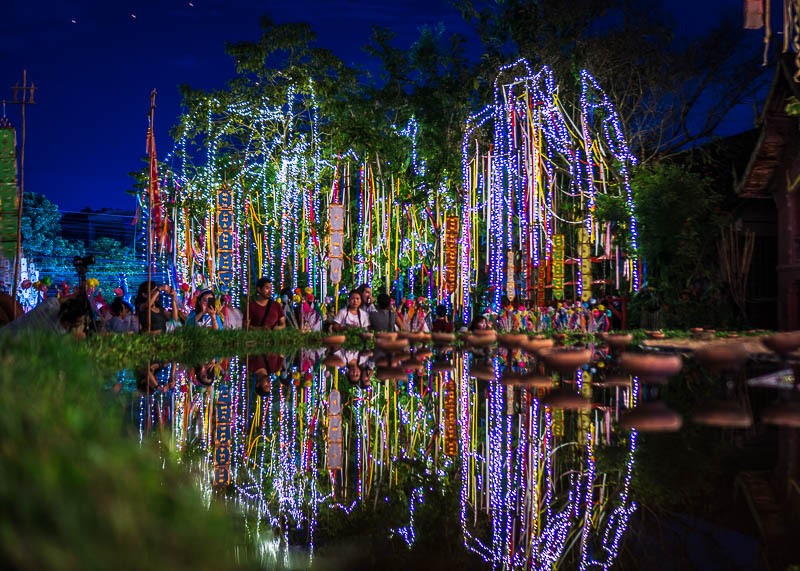 As midnight approaches on New Year’s Eve, the Thais will listen to monk chants and prayers for good luck in the upcoming year. You’ll see a ceremonial white thread or sai sin tied to the Buddha image before being passed to the monks for merit. 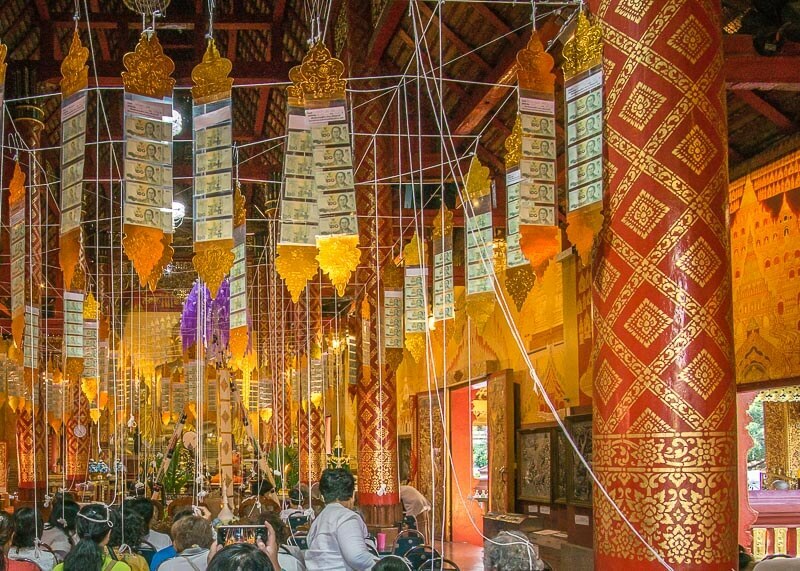 The merit is then symbolically reflected through the thread as it reaches the Thais who are sitting and listening to the prayers. The sai sin are white cotton bracelets that are usually tied around the wrist. These threads are typically blessed in advanced by a Buddhist monk and are supposed to provide protection and good health. The yarn is white because it represents purity in Buddhism. Not only will you see these white threads worn at the wrist, but you’ll sometimes see grid-lines of white string tied to the main Buddha statues during the Thai holidays. 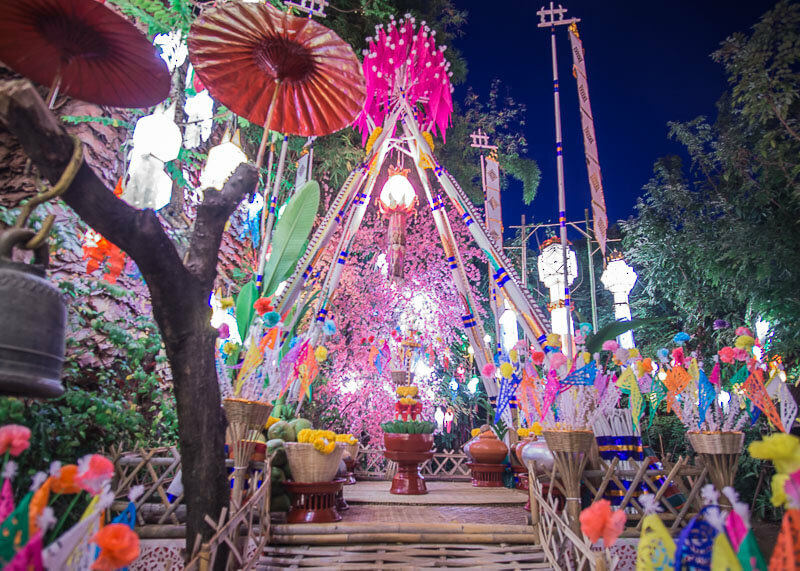 The sai sin is also used in other ceremonies in Thailand, including weddings, funerals and blessing ceremonies. Traditional weddings in Thailand will have the thread connected around the couple while friends and family wear the sai sin as bracelets. 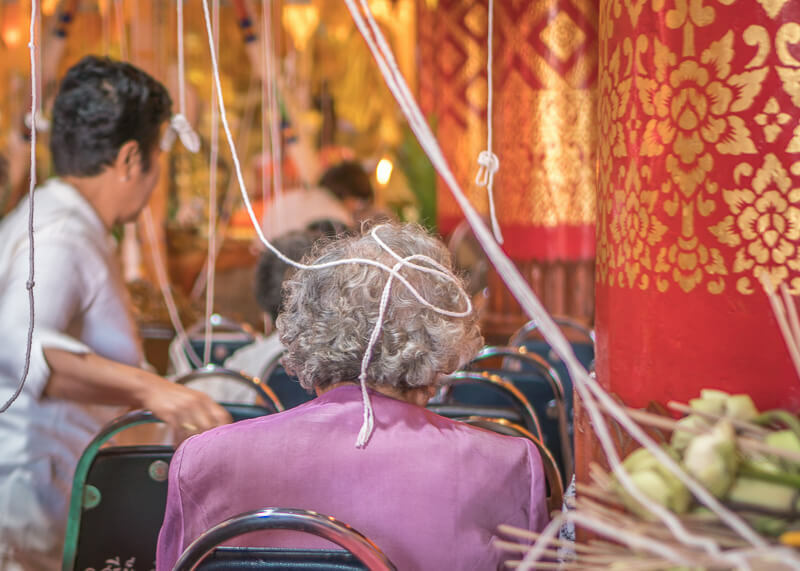 During some Thai funerals, the white thread will be tied around a person’s head three times to wish the deceased luck and protection in their next life. During large ceremonies, the ball of string is first tied around the Buddha image before being passed to the monks. The audience will then receive thread that is strung around their fingers or looped around their head. The chain of white thread links everyone to the monks and the Buddha image. 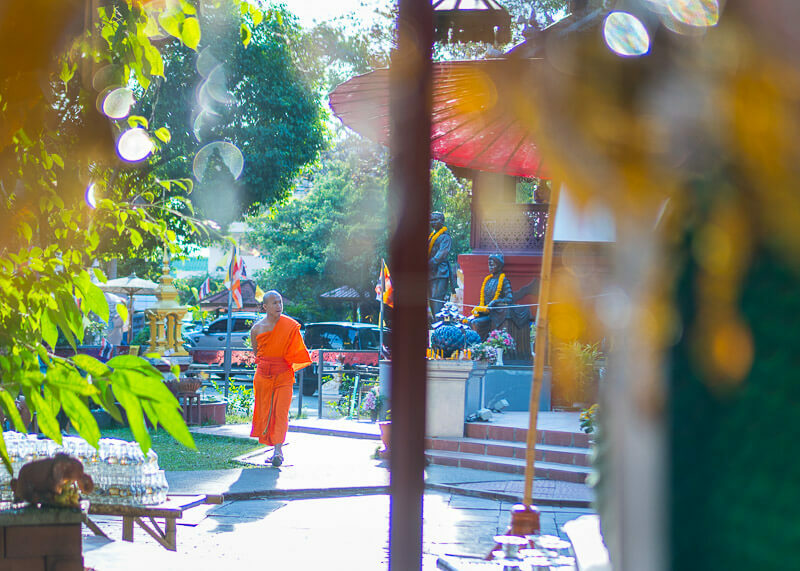 If you would like to get a different perspective of the New Year, you can visit the Doi Suthep. Keep in mind though that tour buses cannot go up Doi Suthep in the days leading up to the New Year and the days after the New Year. That’s because there is a want to keep the mountain free of tourists and manage crowds. If you are an expat already living in Thailand, you can also figure out a way to get up to the mountain. Seriously, it’s like the biggest street party of the year in Thailand. 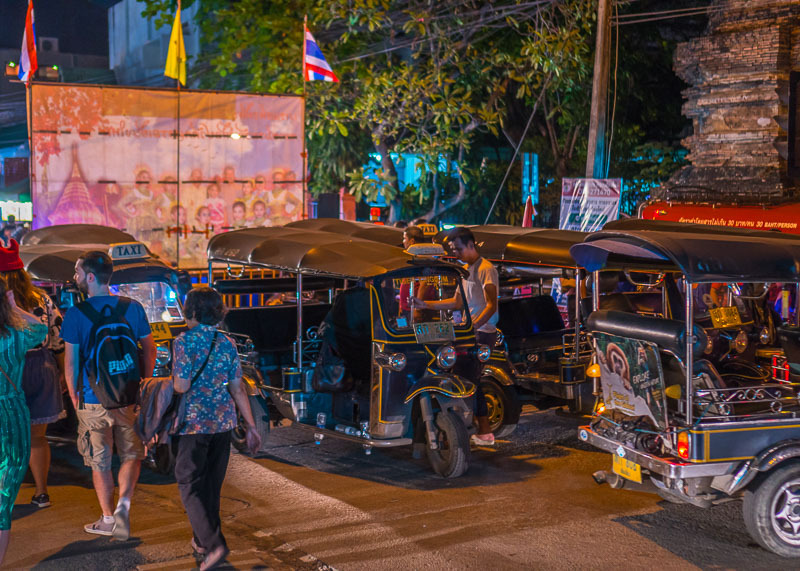 What is the transportation situation like during Chiang Mai New Year’s Eve? As you can imagine, transportation is cray cray during the New Year. In short, good luck finding transportation to get to your destination. You will also have to be careful as road casualties increase during this time of the year due to alcohol consumption. Following the last paragraph where I wrote about the cray cray traffic and lack of transportation that happens around this time, it is best to book your accommodation within walking distance from Tha Phae Gate. Stay within the Old Town square if possible. Chiang Mai is pretty small, and if you had to walk from one end of the gate to the next, it will take 40 minutes (assuming normal walking speed). This walking time has been tried and tested one too many times by yours truly. 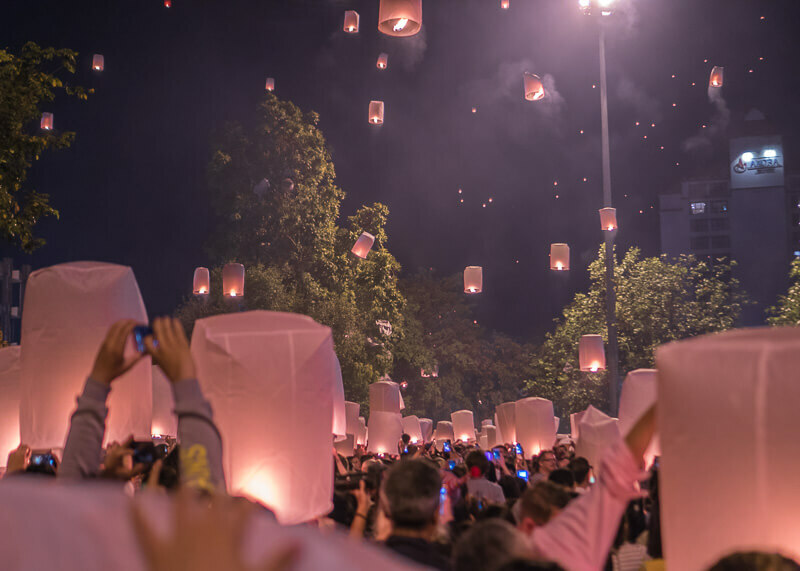 What should you wear during Chiang Mai New Year’s Eve celebrations? Wear white if you can and make sure you cover your shoulders and that you wear something that hits the knees at the very least. 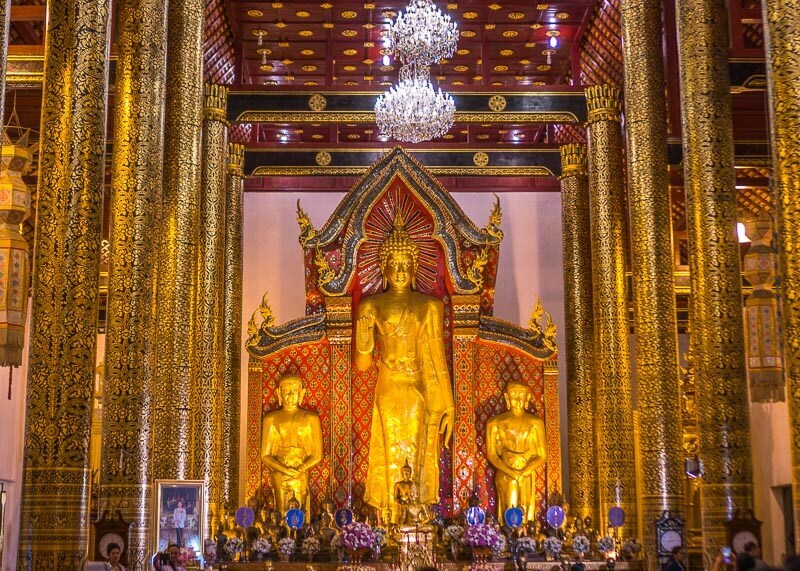 There’s a good chance you’ll be entering temples, and even though it is dark, the dress code still applies. The Thais will not scold you if you are not appropriately dressed but it a way of showing respect to their culture. 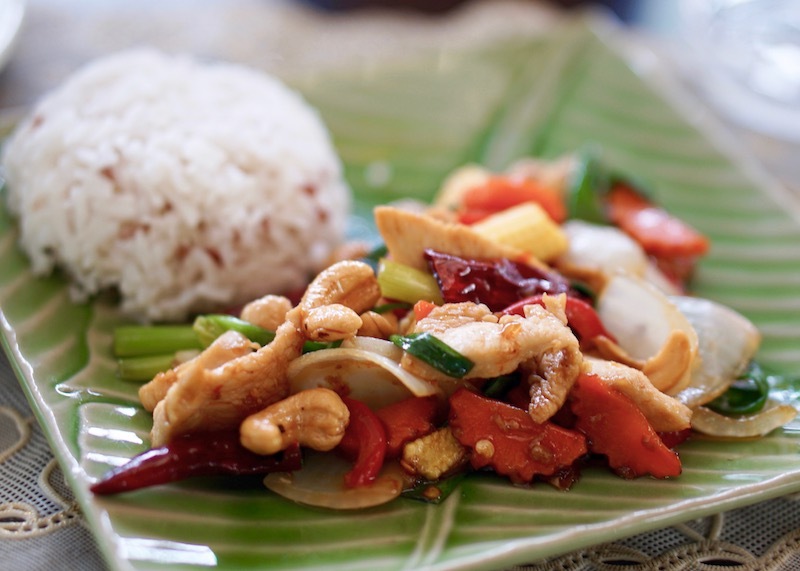 Is it hard to find food during Chiang Mai New Year’s Eve? Um no, Chiang Mai is a big time foodie city, especially for street food and for dessert. 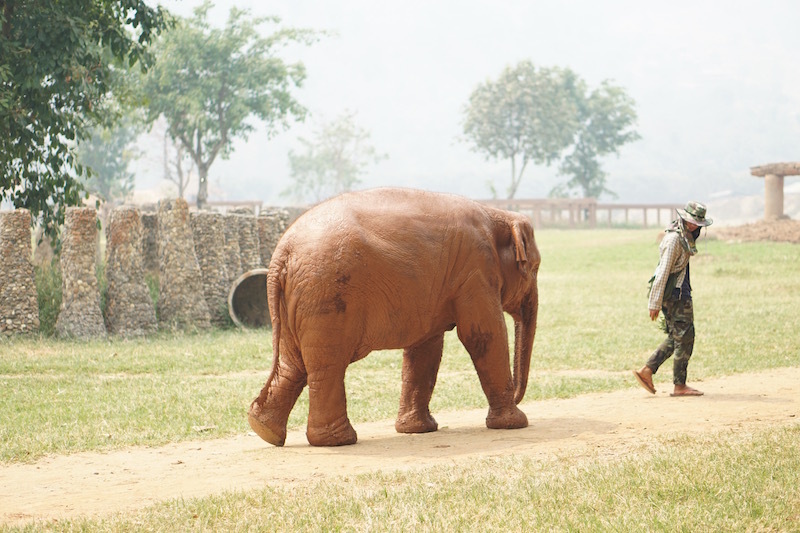 You won’t starve, and those big elephant pants are sold on the streets for a reason. So that you can hide your food baby. 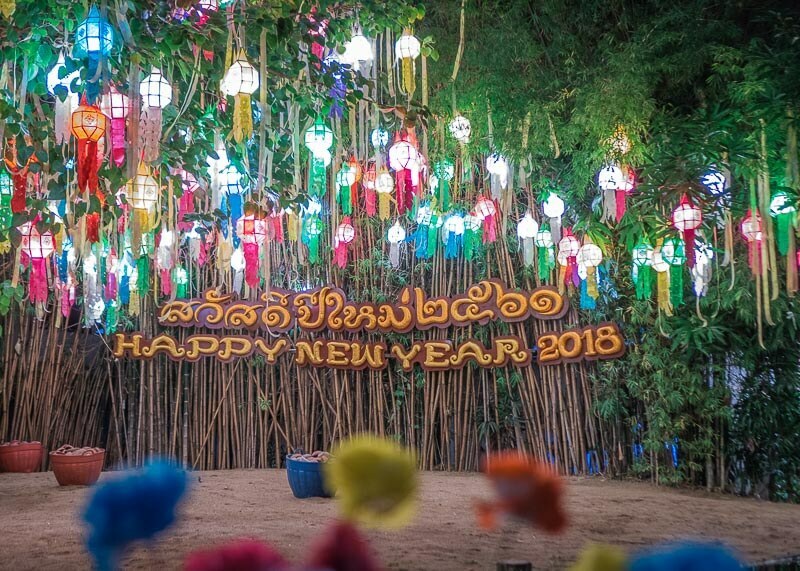 Where can I toilet facilities during Chiang Mai New Year’s Eve? Toilets are few and far in Chiang Mai so use the bathroom before you leave your hotel and limit your water intake! If you are around Tha Phae Gate, you will find a long wait for bathrooms around popular brands like Starbucks and McDonalds. Wave your phones in the air! Since you are dealing with fire in a very crowded area, you have to take precautions to avoid being set on fire. I’m half joking, half not. 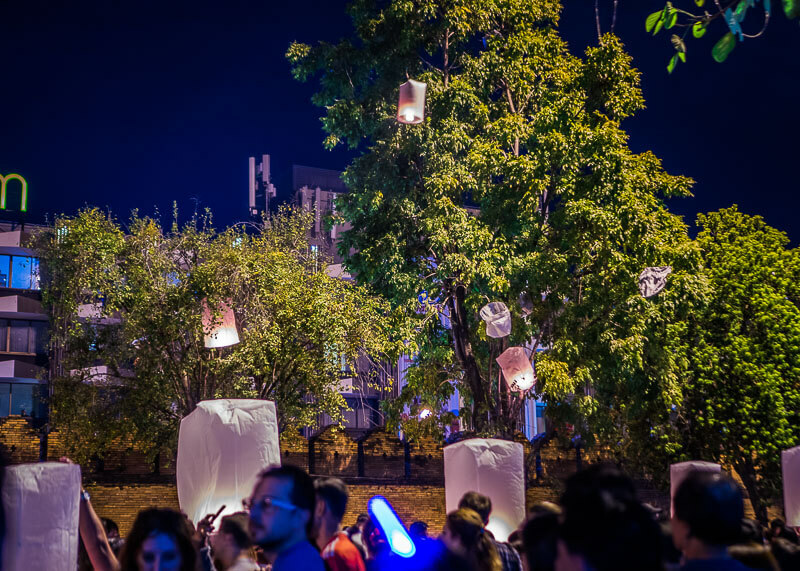 So many paper lanterns never made it to the sky and would get caught on trees and electric wires before crashing to the ground. While everyone is careful not to set their fellow lantern friend on fire, you should still be aware of your surroundings. 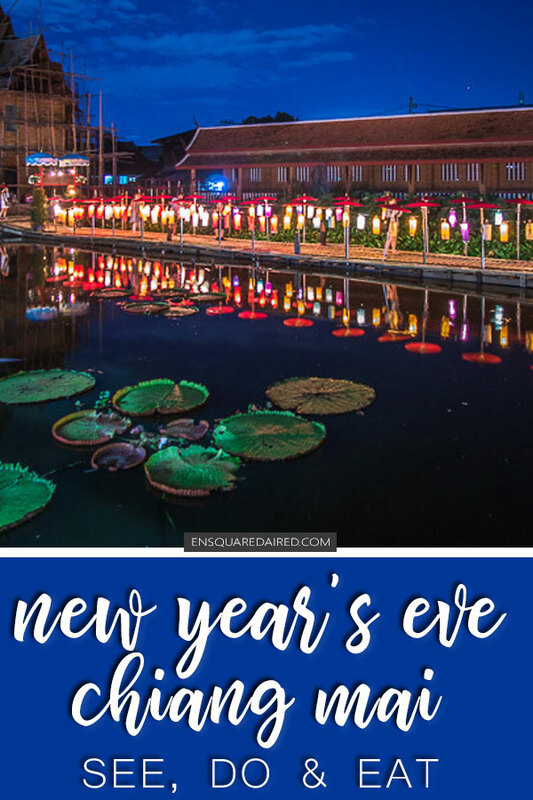 Celebrating the New Year in Chiang Mai was a complete accident. In fact, I had no idea that the New Year was such a big holiday in Thailand. I checked into my apartment two weeks before the New Year and needed time to settle down. Because I had changed my itinerary many times during my year of travel (was supposed in Taiwan during the New Year! ), I did not know what to expect for this holiday season. 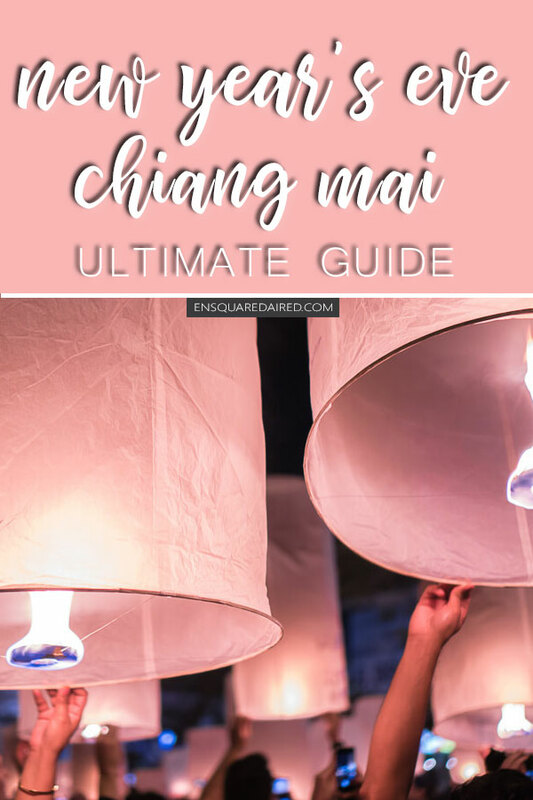 After having a once-in-a-lifetime experience celebrating the Loy Krathong and Yee Peng floating lantern festival in Chiang Mai, you can only imagine my excitement when I realize that the once-in-a-lifetime moment is going to happen a second time! 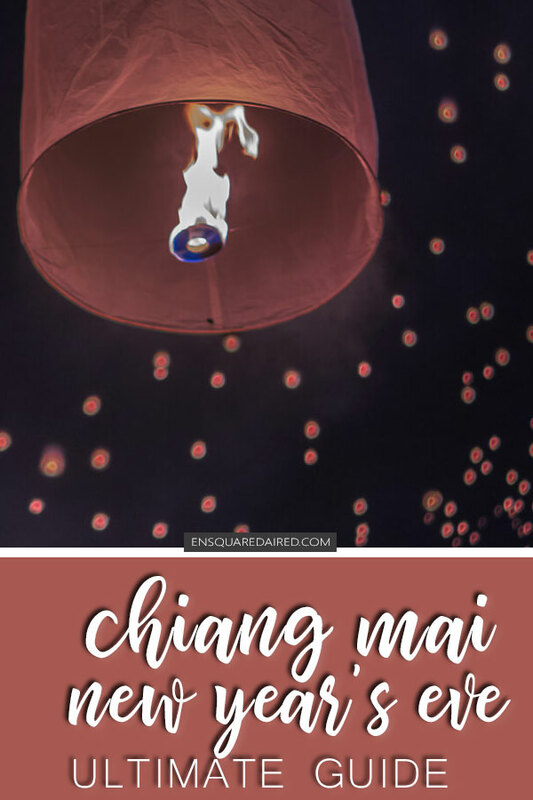 The year I celebrated the New Year in Chiang Mai was extra special. That’s because New Year’s Eve fell on a Sunday, which means there’s the Sunday night market to attend. As well, there was a full moon happening on the same night. We left our apartment at around 6 pm to slowly make our way to Tha Phae Gate. 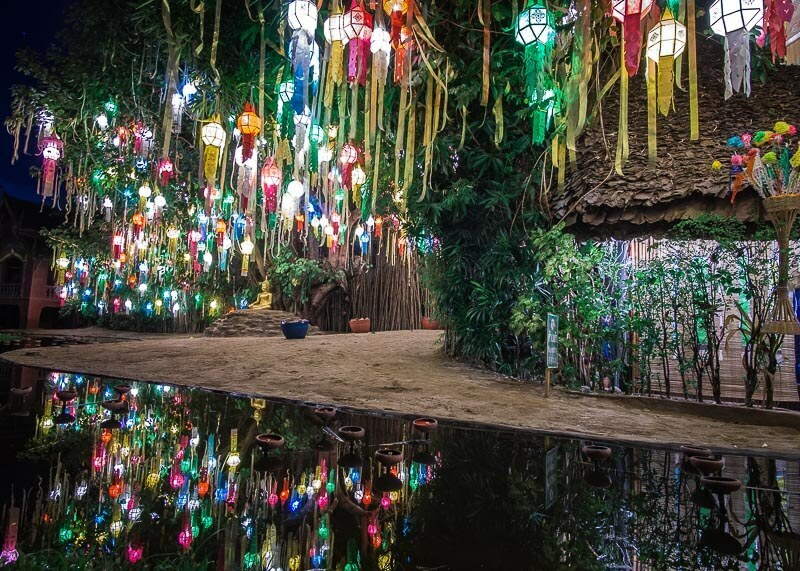 Along the way, we stopped by temples to check out the beautiful lanterns and decorations. 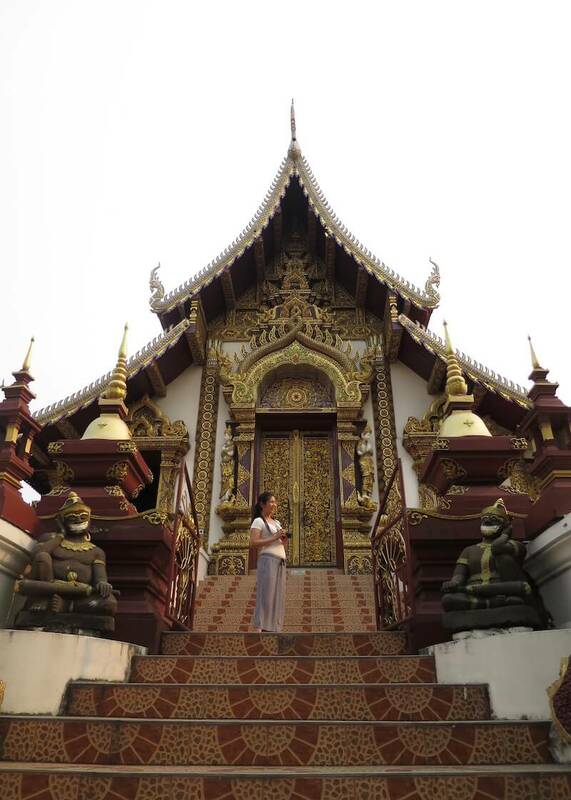 The Thais wore white and made their way to the temples in preparation for the chants and meditations. 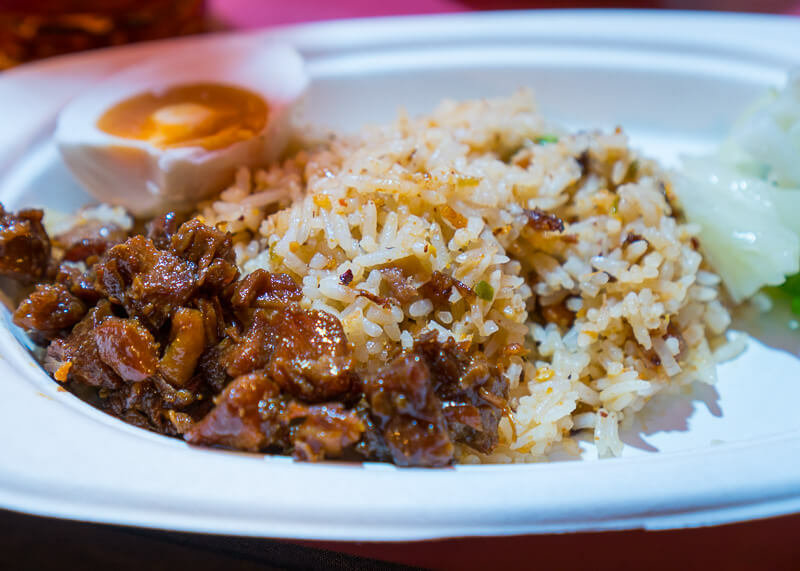 We continued to make our way to the Sunday night market where we grabbed food and watched live performances. It was cool to see a full moon acting as the backdrop for the Sunday night market. In total, we spent six hours wandering the streets, looking for lanterns and finding a place to release them. Our chosen spot happened to be inside a temple because it was less crowded. Once we released our lanterns, made a prayer and a donation to the temple, it was time to head back to Tha Phae Gate. We arrived at the area at around 11:20 and found a place on the ground to sit and wait for midnight. Someone started the countdown, and we watched in awe as everyone released their lanterns right at midnight. Appreciating the beauty of the paper lanterns lasted oh, not more than a few seconds before I found fireworks flying just inches above my hair. No joke! All these Thais suddenly stood up and started shooting fireworks left, right and center! At the same time, the city had a beautiful fireworks display along the Ping river. The fireworks show was happening all while the lanterns were floating up in the sky. Yes, within mere seconds, there was a mass lantern release, firecrackers and small fireworks flying past my ear. As if that wasn’t enough overwhelming of the senses, official fireworks from the city started lighting up the night sky! Does this not look like a beautiful twinkling night sky? 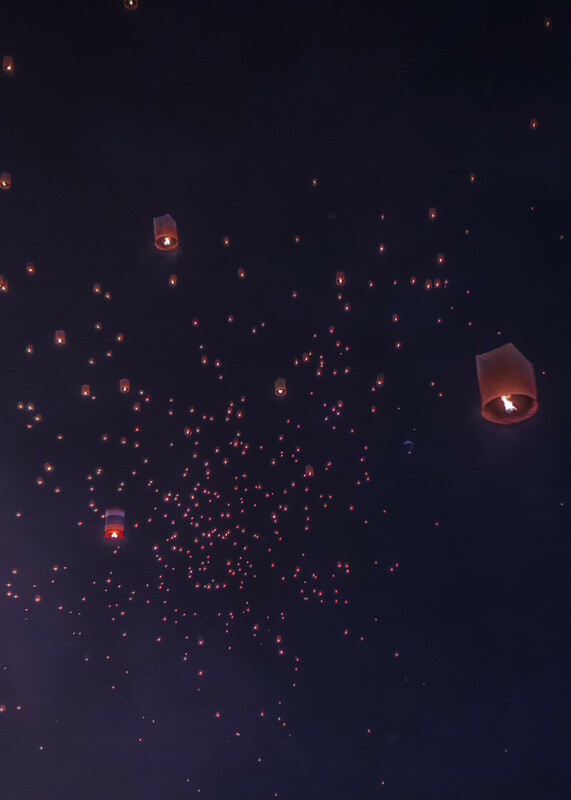 Once all the lanterns faded into the night sky, the crowds started to disappear and it was time for us to go home. Along the way home, we passed by a temple only to realize that the midnight meditation was still happening! So we joined and sat there with the rest of the Thais who were making merit for the New Year. I was so lost in meditation that I lost track of the time and stayed there until 2:30 am. After releasing the floating lanterns, I made my way to Wat Chedi Luang where I listened to monks prayers before heading home at 3 am. I had no idea what they were saying, and yet I felt at peace. I felt at home. The next day, we decided to visit a few temples. Bad idea since it was super busy, but fun nonetheless. There were so many locals praying at temples and doing rituals. While super crowded, it was still fun to watch them do their prayers. Where possible, I joined in on the festivities and completely blended in. I’m sure most Thais do not see me as a foreigner, but rather, a local who gives this dumb look whenever they speak to me in Thai. Some picked up that I am not from Thailand, but that made no difference anyway. They included me in their celebrations and blessed me with water anyway. They treat me as if I am one of their own and welcome my curiosity. Now you know why I love Thailand so much. Fun times Nancy! We celebrated New Year’s once in Chiang Mai. What a blast. We love the place as is, so that festive vibe was all the more fun.